John Douglas Thompson will star Off-Broadway in Satchmo at the Waldorf. Giuliano photos. Thompson with Terry Teachout during the opening night of Satchmo at S&Co. This year three of the four major Berkshire theatre companies have productions in New York on and off Broadway. Last summer’s hit musical for Barrington Stage Company, On the Town, will open on Broadway during the upcoming fall season. Several plays by Barrington’s artistic fellow, Mark St. Germain, have toured including Freud’s Last Session and Becoming Dr. Ruth which is currently Off-Broadway. For the first time Shakespeare & Company in partnership with Long Wharf is sending a production to New York. Satchmo at the Waldorf, starring John Douglas Thompson, a member of the S&Co theatrical family, appears as Louis Armstrong in the first play written by Wall Street Journal drama critic Terry Teachout. Over the years Williamstown Theatre Company has enjoyed a reputation as the summer home of Broadway. Under artistic director, Jenny Gersten, who has programmed her final season for WTF, three productions have and will reach New York. Last year it was the musical Far from Heaven and currently the musical Bridges of Madison County. Recently it was announced that Elephant Man starring Bradley Cooper will be Broadway bound. When actors, directors, playwrights and theatre professionals make commitments to endure the short rehearsal times and comments to the short summer season in the Berkshires it makes a difference when production have the potential to move on. This is particularly significant when, as in the case of Satchmo at the Waldorf, it is a world premiere for the company which retains a percentage of the rights. Points on revivals like Elephant Man bring more prestige than revenue. With three of the four major theatre companies sending productions to New York and regional theaters that raises the visibility for Berkshire Theatre on a national level. In addition to Tanglewood, Jacob’s Pillow and several major museums it makes the region one of nation’s foremost arts and cultural destinations during the busy summer season. Shakespeare & Company along with Artistic Director Tony Simotes is proud to pay tribute to OBIE Award-winning actor John Douglas Thompson for his upcoming performance in Satchmo at the Waldorf, which hits New York City’s Westside Theatre for an Off-Broadway run beginning February 15. The run is open-ended. Shakespeare & Company partners with the Long Wharf Theatre and Executive Producer Joey Parnes (Vanya and Sonia and Masha and Spike) to bring this exciting production to New York audiences. Satchmo at the Waldorf marks the first of Shakespeare & Company’s producing ventures in the city. 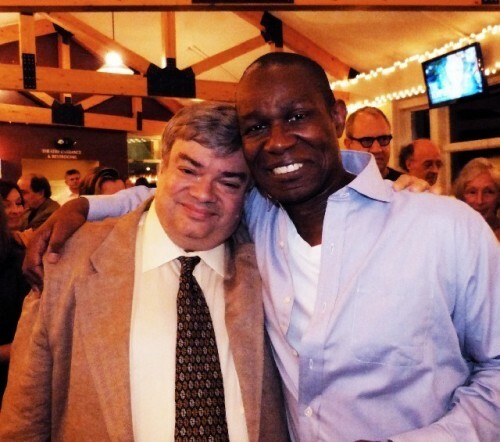 Distinguished author Terry Teachout’s first play, Satchmo at the Waldorf, was produced at Shakespeare & Company in 2012 where it received its New England premier. It was directed by Gordon Edelstein, Artistic Director of the Long Wharf Theatre. After playing to critical acclaim and sold-out houses here in Lenox, Satchmo at the Waldorf moved to Connecticut’s Long Wharf Theatre for another successful run. The time is March of 1971. Louis Armstrong, the greatest jazz musician of the twentieth century, is backstage at the Waldorf-Astoria Hotel, preparing for what will be his last performance. And though he was a radiantly optimistic man who was rarely seen in public without a smile, it turns out that there was more to Satchmo—much more—that few were privy to. John Douglas Thompson plays the challenging double role of Armstrong and Joe Glaser, his mob-connected manager. As Armstrong relaxes in his dressing room, we listen to him recount his rise to fame, and wonder whether he paid too high a price for it. Teachout shows you the private Armstrong, charming and angry—and bluntly, shockingly honest. The design team for the New York production of Satchmo at the Waldorf includes Lee Savage (Scenic Design), Ilona Somogyi (Costume Design), Kevin Adams (Lighting Design) and John Gromada (Sound Design). 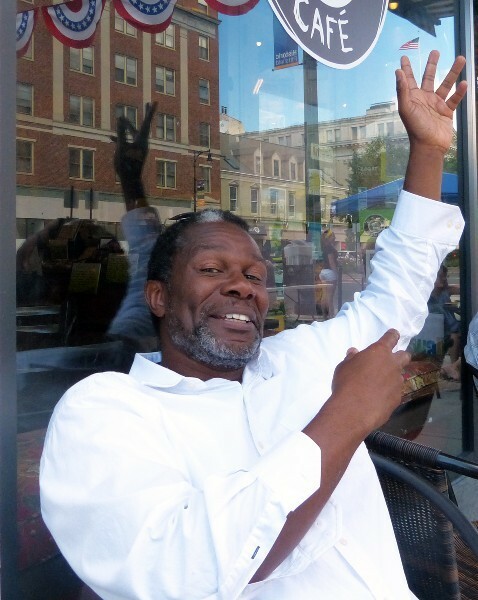 Along with Satchmo at the Waldorf, Actor John Douglas Thompson was last seen at Shakespeare & Company in Mother Courage and Her Children (2013), and in the riveting and dynamic title role of Richard III in 2010. Thompson won an OBIE Award for his portrayal of Othello in a 2009 production at Theater for a New Audience, a role that he played to critical acclaim at Shakespeare & Company that same year. Thompson recently finished a run of A Time to Kill on Broadway, and prior to that a very successful run of The Iceman Cometh at the Goodman Theatre with Nathan Lane and Brian Dennehy.